Do You Really Need a Music Publishing Deal? What Is the Company's Style? In terms of the basic work of publishing — licensing songs and collecting fees— all publishing companies do the same thing. However, different publishing companies accomplish these goals in different ways. Some music publishers are very hands-on with the songwriters on their rosters. These publishers usually have a creative team whose job it is to work directly with the songwriters to help develop their craft. They may do everything from providing feedback on compositions to offering songwriting seminars/workshops and pairing up songwriters that they think will work well together for collaborations. These publishing companies are often also very aggressive when it comes to generating opportunities for their songwriters and the compositions they represent. Instead of, say, waiting for some label to call looking for a song for one of their artists, the publishing company itself will call labels and others who may be in need of songs to place their songwriters' work. On the other end of the spectrum are publishing companies who essentially function as accounting firms. Though they certainly want the songwriters signed to their company to excel in their craft, they don't get very involved in the creative process. Instead, they check out songs, make a projection of the earning potential of a track and then "buy-in" for a share. Further, they are not very proactive when it comes to placing songs. They do provide all of the song accounting services a writer needs, but they react to requests instead of soliciting them. As a songwriter, before you sign a publishing deal, you need to know how your publishing company operates. If it is early in your songwriting career, you could benefit greatly from having a publishing company that offers you support and actively promotes your work. On the other hand, a larger publishing company that doesn't offer much in the way of promotion and support operates that way because it can. These companies are already getting offers and already have people interested in their rosters. 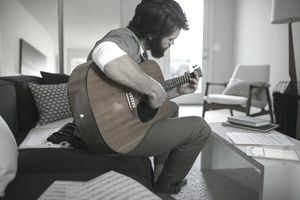 Larger companies definitely have the connections a newbie songwriter needs, but you may need to be more proactive to make sure your work is heard. Ultimately, you'll have to opt for the company that feels like the best fit. How Large Is The Publishing Company? Up-and-coming songwriters face some risks when signing with a large publishing company. How much of a priority are you going to be for them? Signing a publishing deal with a company that isn't all that interested in promoting your catalog is like building a business and never unlocking the doors. Before you sign, be sure someone within the company is enthusiastic about your music and that you have a contact there who will be responsive to your questions and concerns. Is the Publishing Company Major or Independent? Major companies are associated with a specific major label; and some independent publishing companies who allow the major publishers to handle their administration. Then there are the indie publishing companies, who handle all of their own administration work. Which type of publisher is a better fit for you: Small and personalized, or big and with lots of connections? Do You Need a Publisher At All? As a songwriter, do you even need a publishing deal? Unfortunately, there is no easy answer. Music publishing can be very complex, and the work of licensing and royalty management is time-consuming. For a songwriter, these factors can be obstacles. Do you have the knowledge to be effective as your own publisher, and if you do, do you have the time to really make it work? Much comes down to your style of music. Some genres tend to be "busier" in terms of publishing than others. If your publishing workload is generally light, then you may be able to manage your own song administration, either by yourself or by hiring someone to handle the paperwork for you. The bottom line? Music publishers can help you tap into some very lucrative income streams and help you manage some difficult jobs. Although you as a songwriter can certainly handle your own publishing, and thereby keep all of your profits, a good publishing company can potentially take your career to the next level. Publishing deals can indeed be a very good thing, but make sure you understand what to expect from the company and that they are bringing something new to the table that you can't create for yourself.